Watch a new music video from Petal—plus, don’t miss Trash Boat on tour. Check out the news you might have missed today below! Arcade Fire, the Neighbourhood, Foster The People and more have been announced for Las Vegas’ Life Is Beautiful Festival. Tickets go on sale April 26 at 10 a.m. local time. To purchase tickets and for more information, you can go here. Petal shared a vibrant new music video for their song “Better Than You.” The track is taken from the band’s forthcoming album Magic Gone, out June 15. You can preorder your copy of it here. The band will be hitting the road with Camp Cope for a summer tour. For a full list of dates and to purchase tickets, you can go here. Trash Boat announced their May 2018 tour plans. The band will be doing a few dates at Galaxy Camp, Slam Dunk Festival and a few headlining shows with Broadside and Can’t Swim. For tickets and a list of dates, you can go here. Retirement Party dropped their new song “Passion Fruit Tea.” The track is taken from the band’s debut album Somewhat Literate, out May 25. You can get your copy of it here. Check out the tracklisting below! Cane Hill were announced for the Sunday, May 6 date of Carolina Rebellion. The band will be playing alongside of the Fever 333, Incubus and more. For tickets and information on the three-day festival, you can go here. Car Seat Headrest announced a North American headlining tour in support of their recently released album, Twin Fantasy. For a full list of dates and to purchases tickets, you can go here. San Francisco’s Pllush shared their new song “Ortega.” The song is taken from their debut album Stranger To The Pain, out June 8. You can preorder your copy of it here. The band will also be doing a few shows with Editors. Check out the dates below and get your tickets here. 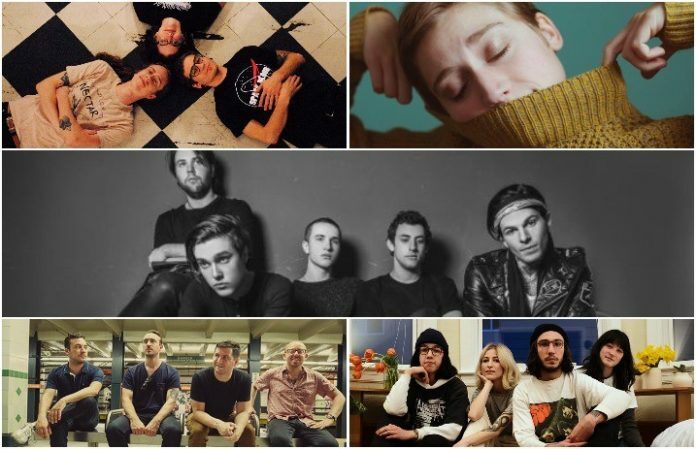 The Menzingers, Wolf Alice and more have been announced for Governors Ball After Dark. Tickets for the event will go on sale April 27 at 12 p.m. EST. For more information and to purchase your tickets, you can go here. Columbus-based band the End Of The Ocean signed with Equal Vision. The band will be releasing a new album soon. Lost In Society premiered their new song “Creature.” The song is taken from the band’s upcoming album Eager Heart, out May 25. You can purchase your copy of it here.